Roast sesame seeds for 5 to 7 minutes on slow heat. 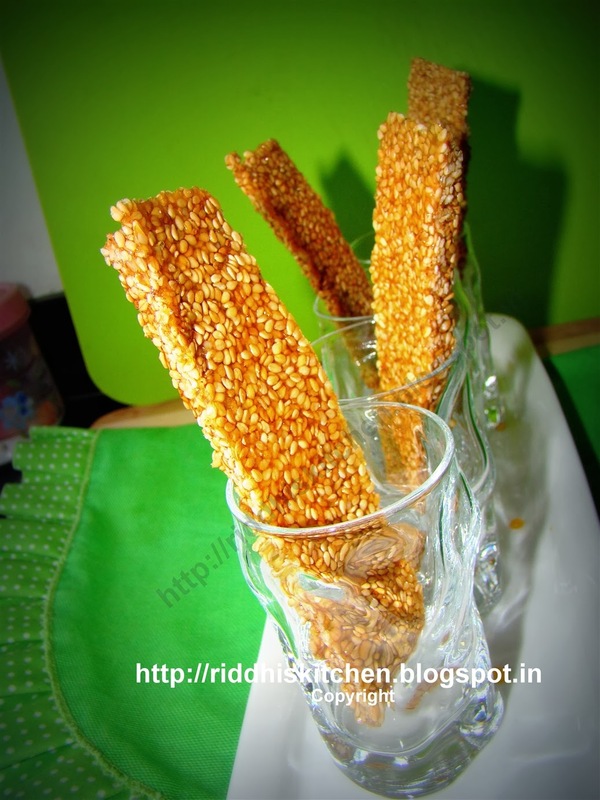 Transfer sesame seeds to a dish. Keep aside. Heat on pan, add sugar and continue mixing over medium heat. When sugar completely melts, add ghee, mix well. Add roasted sesame seeds and mix well. Spread the prepared mixture on a wooden board or platform. Roll this using chapatti roller and cut into desired shapes. Serve after 15 minutes. So u feel chikki crunch.